Dances With Films breaks the mold as a major film festival, showcasing what they feel is the best talent operating just below the mainstream, yet are the sort of films and talent that everyone will be talking about in years to come. Their slogan is "Defiantly Independent Since 1998" and they really mean it, an article recently came out revealing they are one of the only major film festivals in the world that program entirely from submissions. So much has happened in the last two weeks I’ve barely been able to catch my breathe, and I’ve loved every minute of it. DWF took place at the Chinese Theatre on Hollywood Blvd, round the corner from my house. I woke up each morning rolled out of bed and into a buzz of independent filmmaking. Allen Gardner’s "Bad Bad Men" makes me feel less alone, the strangeness of insecurity that creates nothing reasonable, yet bonds some lasting friendships with love in spite of themselves. Alicia Slimmer's "Creedmoria" made me grateful for my family. The play within a play in Stuart McBratney's "Pop-Up", where an older writer spends his last moment dictating the manuscript of the final pages of his book before being gunned down by a Nazi soldier to his partner. She looks up from her typewriter to express fear for her last moments on earth, he responds that one day someone will pick up their book and read their story, and therein is their salvation. Marcus Sigrist’s "Singapore Sling" pulsed desire and self destruction not met with controlling rage but with a quiet curiosity for the boundaries of polygamy, all in just 12 shots. Hunter Lee Hughes’ "Guys Reading Poems" drifts between high literary device, elegant filmmaking. Stev Elam's "Moments Of Clarity" explores the strange pleasure of youth. "Something Good", delivered a strong supporting cast in Samson Kohanski and Annie Hamilton, young sophisticated friends to the protagonist touching her flesh yet never penetrating the skin. Road To The Well screened that first Saturday slot at 7.15, we had a fantastic turn out, I was thrilled to see me friends and colleagues show up in support of this strangely interesting film. Anti academic Zen pleasure seeking Alan Watts said of Death; "And yet that's a rather a gloomy consideration I've found that's one of the most creative thoughts, I've ever thought in my life." I put aside the past to seek pleasure in the present during this time, all the preparations had been cast and all that was left was to be there, I sought pleasure in others company, pleasure in cinema, pleasure in other pleasure seekers seeking pleasure in cinema. It was a sensuality which I felt so connected to in all the years I’ve lived in LA. It seemed before there was always a cinema screen between me and pleasure being had in the outside world, flickering moments of happiness reflected my desire for an ideal world. Utopia on celluloid, how could real life ever compete, why did it sometimes fall short, the authority of the director as the creator of this universe. Pleasure was to be had in the world created by the narrative, dictated by the director and players, who gave permission for this interplay of pleasure to exist. Pleasure was structured and for a purpose that contributed to a linear relationship with an eventual or immediate revelation. In these last couple weeks when my pleasure on screen flickered at the cinema, I could for the first time step out of the screen into life, and in my life pierce the screen, which held back the players of my desire to draw them into reality, bring them closer, so close I could touch. I'm undergoing research for a book at the moment, I remember an interview between John Berger and another writer where he said that he went from "life to page, where the other writer went from page to life", I thought there was something very important in this surrounding the experience of pleasure. I considered this for some time, I wanted to ask him who I was. I was thrilled to bump into Ivana Chubbuck, I confessed my devotion, I asked her what she thought of Eric Morris’ concept of Being, she wasn’t sure what to make of it and told me to consider my Objective, more on this below. Taken out of context Mamet's 'True & False’, gives an entirely misleading picture as to even his own development as a dramatist, let alone that of others. The premise is that Method Acting is all a bunch of BS and actors should just stay on their marks and say the words, perhaps he'd rather dispose of actors all together and instead hand out copies of the script. If I ever got too in my head about a scene Ivana Chubbuck would say to me "Laurence, words are 2D, life is 3D". One should bare in mind before any attempt to extract some sort of 'truth' or 'secret, that Mamet in these instances is trying very hard to sell a book, and no doubt trying to bring attention to his far superior work as one of America's best playwrights. As with his latest bestseller ‘The Secret Knowledge, in which Mamet outs himself as one of the rare conservatives working in Hollywood, and dutifully in line with the current conservative candidate Donald Trump, Mamet states “my job is not to write accurately but to write persuasively”. I'd like firstly to refer to this short documentary which gives a rare insight into Mamet the director, as he works with two actors, in this clip he talks about the Stanislavkian approach which he often credits as the backbone of his early work as a dramatist. 1) The "Literal": The essential and most basic description of what is taking place. 2) The "Want": What does one character ultimately want the other character to say or do. 3) The "Essential Action": An evocative and relevant description of what the actor wants within the scene. It is essential to understand that what the character is doing and what the actor is doing are separate. 4) The "As If": This relates the "essential action" to the actor's own life. For example: "Essential Action" – To retrieve what is rightfully mine. "As If" – It's as if my girlfriend has taken away my favorite album that I was going to give as a gift. I need to retrieve it because it is mine. This step is a memory device, a spark to involve the actor in the scene. It helps the actor escape the fiction, find the truth, and apply it elsewhere. Here we come across Mamet's difficulty with the craft of acting in general, he is missing the fundamental aspect which once the 'technical' considerations of character development have been put in place, the actor as a sentient being must enter. If used in the right way, there is something to the catchiest phrase in the book "invent nothing, deny nothing", this existential idea is only relevant at the end of the process, after the considered, deliberate and immersive exploration that somewhere like his own Atlantic Acting School encourages. 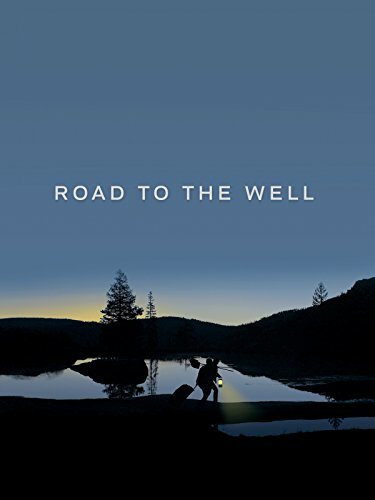 During the rehearsal period for Road To The Well I studied as much existential philosophy as I could in two months, some of it was very useful, and yet I can say first hand that Existentialism is only relevant at the end of the process, like a leaf on the tree of the craft of acting. Existentialism should only be at the end of an intense study into the nature of things to allow the self to speak through what may otherwise be deemed a 'spiritual experience'. The quality of the experience is often proportionate or related to the preceding events. I could never imagine approaching a script with the intention of developing a character armed with Existialism alone, because as Satre felt that Existentialism consisted of questions that should be asked in solicitude, yet there is a shared symbolic order yoking the director to the players and the players to the audience; the story. "Trust and allow the information you derived from your script analysis and rehearsals to permeate and inspire your feelings and needs to organically surface..."
"New responses will come up spontaneously because of the detailed and layered foundation you have established. This means that if you don't do all of your work, not much will happen when you let it go... Do deep work and deep is what you'll get." I also found a spiritual expansion in this aspect of my craft when I stumbled upon Eric Morris' conception and practice of "Being". Eric is one of the leading Method practitioners working today, starting out in the early days of the Actor's Studio, I went to train with Eric in the few months leading up to Road To The Well. Of course when developing his conception of "Being" he has borrowed ideas from both Eastern Philosophy and adapted them into what would be a practical application for actors. Stanislavsky himself was a passionate practitioner of Hinduism, the mysterious energies and presence accessible in it’s rituals. I don't blame Mamet for his denial of any one total approach, his polemic makes space for a new conception of an approach yet falls short of a solution. Much like his new political affiliations, backed into a corner, the only solution left for those on the right in America is Mamet's political equivalent, a man who will say anything for money; Trump. The craft of acting is unique and complex but not isolated from other creative endeavors, I’ve found many parallels in my father’s conception of Aesthesis vs Theoria. In undergoing research for the screenplay about my father the late art critic Peter Fuller who passed when I was three, I find many correlations in the work he was doing to uncover the mysteries of the human animal in artistic life to the work of an actor.